Location: Trillium’s taproom is located at 369 Congress St. in the Fort Point neighborhood on the Boston waterfront. It is walkable from South Station and there are a number of bus routes that will get you even closer. Parking in the area can be a little bit of a challenge, but there is some metered parking in the area as well as a few nearby lots. They are also opening a new brewery in Canton, I’ll update this once it opens. Leadoff: In a short amount of time Trillium Brewing Company has established itself as one of the most popular breweries in Massachusetts. Boston Globe beer writer Gary Dzen named them the best brewery in the state in November, 2014. I wrote a response to this, asking my readers for their favorite local brewery (I am OK with picking a favorite, calling one the “best” when everyone has different tastes in beer seems kind of ridiculous), and Trillium was far and away the most mentioned. When the brewery was forced to shut down for a month due to a licensing issue many of their supporters were apoplectic, and as soon as they re-opened there were lines out the door. Trillium’s popularity stems from their line of well crafted ales, especially their hop-forward offerings, considered by many to be among to the best IPAs in the country. While the IPA style drives business, Trillium also makes a wide variety of styles from Belgian ales to wild fermented and sour beers to porters and stouts. Trillium Farmhouse: Saisons are one of my favorite beer styles and Trillium’s eponymous Farmhouse Ale is one of my favorite takes on the style. The expressive Belgian yeast effortlessly mingles with American hoppiness to form a complex and flavorful beer. Fort Point Pale Ale: This is the best story to describe how good Fort Point Pale Ale is: My pregnant wife got one whiff of a FPPA I was drinking and proclaimed that this was the first beer she wanted to drink once the baby is born. Enough said. Congress St. IPA: Trillium makes a few different IPAs but my personal favorite is still the original. Congress St. IPA mixes a bold boutique of hop character with a solid malt backbone and just enough bitterness. Mettle: Trillium also makes quite a few different double IPAs, and it is difficult to choose a favorite here. Mettle is one of my favorite local takes on the style, huge and aggressive hop flavor and aroma in a balanced and easy to drink beer. Other Beers You Should Try: While Congress St. is my personal favorite Trillium IPA, I could understand why others would prefer Melcher St. IPA or Sleeper St IPA, all are deliciously hoppy versions on America’s favorite craft beer style. In addition to Farmhouse Ale, Trillium’s Belgian strong ales are both very good. 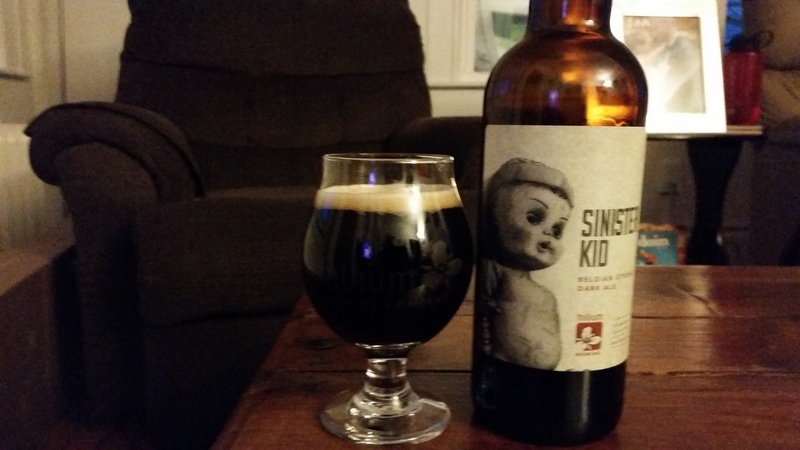 The Belgian strong pale ale Broken Angel and Belgian strong dark ale Sinister Kid are both flavorful and complex, definitely worth picking up. While the addition of oats is most common in the stout style, Pot and Kettle is an oatmeal porter that mixes the thick mouthfeel from the oats with a little hop kick. I am still gaining a taste for sour styles but I loved Stonington, a wild fermented saison that is the perfect mix of tart and funky. Wakerobin is a solid rye beer, with a flavorful mixture of spicy rye and a little hit of hops. I’m not much of a coffee drinker, but PM Dawn is a delicious stout made with cold-brewed coffee. Double Dry-Hopped Beers: Trillium makes special versions of FPPA and many of their IPAs where they double the amount of hops in the dry hopping process or dry hop with a specific alternate hop style. The additional hops don’t add any bitterness, just a little flavor and a huge amount of mouth-watering hop aroma. Order one of these at a bar and after one sniff everyone around you will want one too. Barrel-Aged Beers: Trillium has a fledgling barrel aging program that is going to get a huge boost with the additional storage space provided by the new brewery. I know I am not the only one who is excited to see what they come up with! Final Thoughts: It is very easy to see why so many people consider Trillium to be their favorite brewery. The hop-forward beers draw you in and the diverse array of offerings keep you coming back for more. 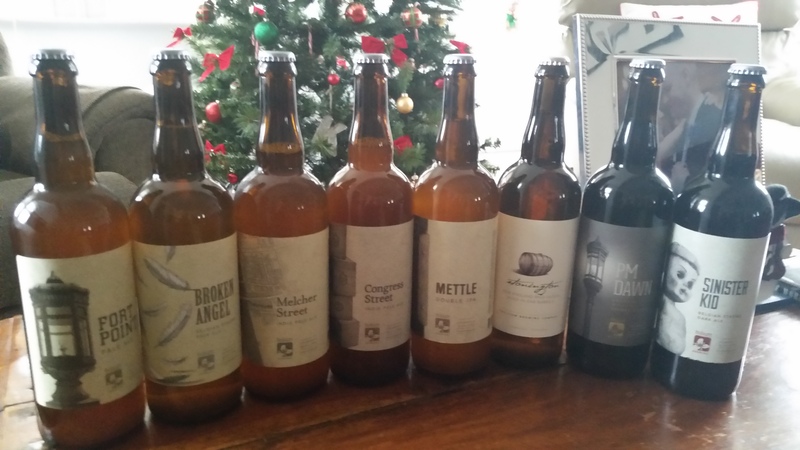 I have introduced a few friends to Trillium and all of them have come away impressed. I am very excited for their expansion because it will make their beers much more widely available, and allow their brewers to continue to experiment and innovate. 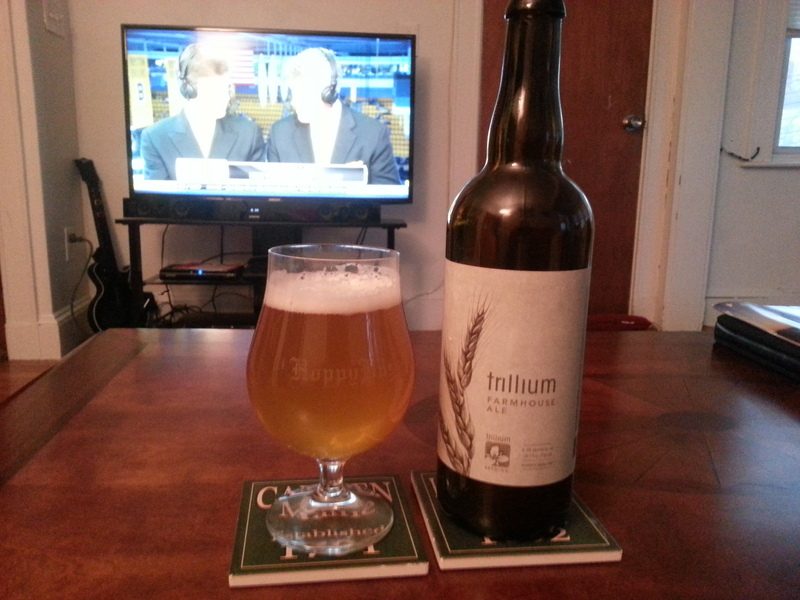 If you haven’t done so recently make the trip into the city and grab some Trillium!